OU: Original Universe. The timeline introduced in the original games and seen up until Black and White 2. MU: Mega Universe. The timeline where Mega Evolution exists, as introduced in X and Y.
UU: Ultra Universe. A minor branch off of the Mega Universe. So far, only Ultra Sun and Moon exists here. LG: Let’s Go Universe. The timeline where Let’s Go Pikachu and Eevee takes place. I couldn’t really detail the intricacies of the split Pokémon timeline too much on the page, so I thought I should make a post to better describe my thoughts on how this all works. First, for those who don’t know, a multiverse is the idea that multiple parallel universes can exist. Each of the individual universes can either be almost exactly the same as another, or completely different. In the quantum theory of the multiverse, every time a choice is made, the universe splits. In one universe, one option is picked, in another, the other option is instead. This happens over and over again, in a cascading effect, quickly creating an infinite amount of universes, across which anything and everything has happened in at least one of them. These universes splitting off of each other can be thought of as a tree, where branches grow off of other branches. Some branches are tiny twigs, while others are thick limbs. Using this analogy, branches of the timeline can be grouped. Omega Ruby and Alpha Sapphire confirmed that Pokémon exists in a multiverse, by stating that there is another version of the Hoenn Region in another world. 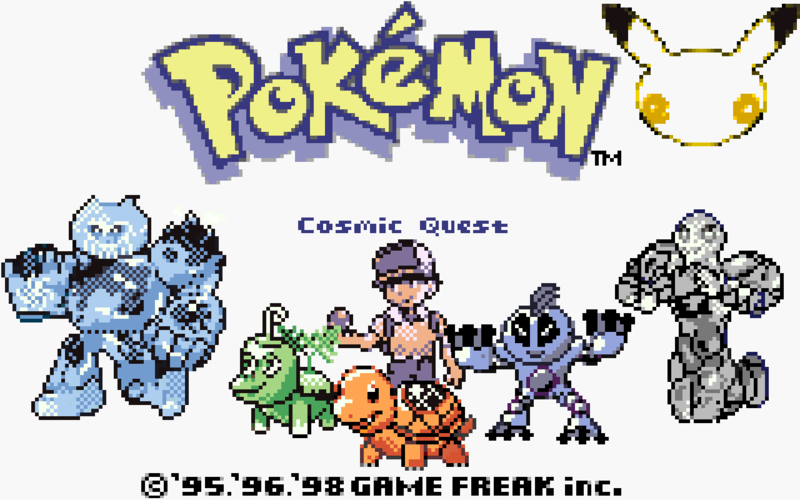 This is heavily implied to be the version of Hoenn seen in the original Ruby and Sapphire games, explaining the differences between the two sets of games. So now comes the question, where did I get the “four primary branches” concept from. From the context of Omega Ruby and Alpha Sapphire mentioned above, we know that there are at least two main branches to the Pokémon timeline. There’s the one without Mega Evolution, the Original Universe, and the one with Mega Evolution, the Mega Universe. The split occurred based on the firing of AZ’s Ultimate Weapon. The Mega Universe is where he chose to fire it, the Original Universe is where he didn’t. These two branches are the main branches of the primary four. 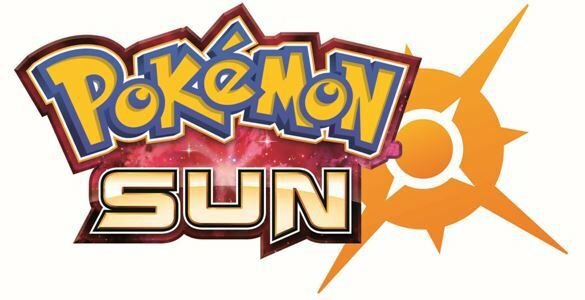 The next universe to be introduced is the Ultra Universe, where the events of Ultra Sun and Moon take place. Compared to the split between the Original and Mega Universes, this one is pretty small. So you can think of it as a small branch growing off of the thick limb of the Mega Universe. 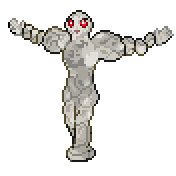 This universe is essentially the same as the Mega Universe, the only known major differences being those that stem directly from the actions of Necrozma. It is unknown exactly what the point of divergence is, but the main differences come from Necrozma interrupting the events at the Alter of the Sunne/Moone. It’s possible that Necrozma simply decided not to attack in the original Mega Universe, but it’s also possible that split occurred much earlier, and perhaps Necrozma was never imprisoned in the Megalo Tower to begin with in the Mega Universe. It’s impossible to know for sure. Then there’s the Let’s Go Universe. Not much explanation is needed here. Let’s Go presents events completely differently from Red and Blue/Fire Red and Leaf Green. The main difference is that the protagonists of Let’s Go, Chase, replaces Red. Since Mega Evolution exists, it would be a branch off of the Mega Universe timeline Once again, there is no confirmation as to why this split occurred. It is my speculation that in this version, Red and Blue began their journey earlier than they did in the Original and Mega Universe, meaning that missed out on the random events that led to them becoming the trainers we know them as. However, it’s worth noting that Chase and Trace live in the Original Universe houses of Red and Blue, meaning that there are other unrelated differences to this universe as well. All this leaves a big question. Why are Omega Ruby/Alpha Sapphire and Ultra Sun/Moon considered their own universe, but not Fire Red/Leaf Green and Emerald? The answer to that question is, they actually are. While the multiverse may have only been introduced officially in Omega Ruby and Alpha Sapphire, it had existed since the very beginning. In fact, the very nature of Pokémon’s dual version releases (as in releasing both Red Version and Blue Version) means that timeline splits existed with the very first Pokémon games. Red and Blue Versions both show the events, but with slightly different versions of them. That is, by definition, a presentation of parallel universe. And it doesn’t end there. Yellow Version later came out, creating a third split in the timeline. And then, ten years later, there came Fire Red and Leaf Green, creating two more versions of the same events. The reason I do not list these as separate universes is because they all just minor twigs on the same main branch of the timeline. Fire Red/Leaf Green shows essentially the same universe as Red/Blue, with minor differences, while Let’s Go Pikachu/Eevee does not. Emerald is just a slightly different version of the same events from Ruby and Sapphire, and can mostly coexist with them, but Ultra Sun/Moon has some major events that are completely different from Sun/Moon, making it a bigger divergence. The multiverse gets even crazier when you consider the implications of the Link Cable mentioned in Omega Ruby and Alpha Sapphire. In it, the Link Cable is a mysterious item that allows Devon Corp. to send the incoming meteor to another world. So, essentially, it is a machine that allows transport and communication with other universe. Now, the Link Cable was made as a reference to the real-world object that allowed Game Boy games to connect to each other. It’s what allowed players to trade and battle with other players. Now, let’s think about the implications. In Red Version, we have one Red connecting to another Red and trading using the Link Cable. Since the first Red can now use the Pokémon received from the second one in the trade, that second Red is, technically speaking “cannon” to the first Red’s journey. The only way for this work means that literally every single save file ever created on a Pokémon game is its own parallel universe. Think about it. The Pokémon multiverse truly is infinite in its expanse. And all that’s not even considering other big non-game branches of the timeline, such as the anime, manga, trading card, and spin-off game universe. If any of this post doesn’t seem to make sense to you, feel free to ask in a comment. I’d be more than willing to explain better. Yeah. That’s right. I went there. I canonized MissingNo. I feel it was something that’s just bound to happen, I mean MissingNo. has pretty much become a Pokémon of its own. And with the recent re-release of Red and Blue, it’s more popular than ever right now, so why not turn it into a real Pokémon? Each part of this episode is inspired by how MissingNo. actually works. The mysterious old man that Ash and friends meet plays the part of the old man that teaches you how to catch Pokémon. Then Ash and the others taking a blimp ride to the coast and then a boat ride along the shore is just like flying to Cinnabar Island and surfing up and down along its coast. It’s no wonder Ash encountered a MissingNo. Ash being buried underneath the massive pile of Pokéballs is of course a reference to the infinite items glitch associated with MissingNo. and Ash’s loss of memory of previous leagues is an adaptation of MissingNo. corrupting the Hall of Fame. The final reference is when reality itself begins to crumble around Ash in the climax. This emulates how MissingNo. would corrupt the sprites of trainers and Pokémon when sent into battle. Oh yeah, one last thing. April Fools. Description: According to myth and legend, Seluna, under the guidance of the Cosmic Architect, created all of the moons in the solar system. It’s crowning achievement is the Earth’s moon, where it is said to dwell. Trivia: Seluna is the cover Pokémon of Luna Version. The pattern on its upper chest is meant to invoke the actual Moon. It’s name is derived from Selene, the Greek goddess of the Moon, combined with Luna, the scientific term for the Moon. It’s red eyes are meant to invoke the theme of having a “red” legendary each generation, such as Ho-oh, Groudon, Palkia (it’s more of a pink, but close enough), Reshiram (it glows red), and Yveltal, all of which are based off of Red Version and Charizard. Description: In legend, Terratlas was created by the Cosmic Architect in order to construct the planets of the solar system. It is said to have modeled the Earth in its own image. It is rumored to live in high Earth orbit, always watching its prized creation. Trivia: Terratlas is the cover Pokémon of Terra Version. 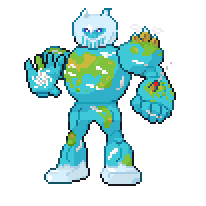 Its name is a combination of the Latin term terra, meaning the Earth, and Atlas, the Greek Titan that held the Earth on its back. The main landmass on Terratlas’ stomach is meant look like the Kanto region, while the landmass on his shoulders (the one with the mountains) is meant to invoke Tenno, and the one on his hand with the volcano is meant to invoke Hoenn. The white on its head and feet are meant to be polar ice caps. Terratlas’ blue eyes are meant to relate it to the trend of having a blue legendary cover Pokémon, continuing the tradition of Lugia, Kyogre, Dialga, Zekrom (it glows blue), and Xerneas, all which stem from Blastoise back in Blue Version. In addition, the Attackdex/Abilitydex has been updated with these Pokémon’s signature moves and abilities. Also, make sure to visit my Fan Fiction profile page to vote on which game you would pick.